Mark 15:1-20. Very early in the morning the leading priests, the elders, and the teachers of religious law—the entire high council—met to discuss their next step. They bound Jesus, led him away, and took him to Pilate, the Roman governor. 16 The soldiers took Jesus into the courtyard of the governor’s headquarters (called the Praetorium) and called out the entire regiment. 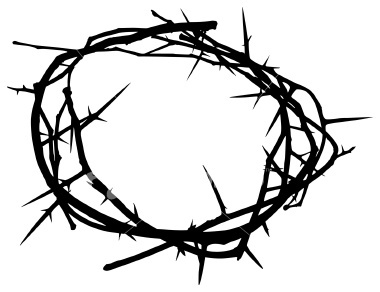 17 They dressed him in a purple robe, and they wove thorn branches into a crown and put it on his head. 18 Then they saluted him and taunted, “Hail! King of the Jews!”19 And they struck him on the head with a reed stick, spit on him, and dropped to their knees in mock worship. 20 When they were finally tired of mocking him, they took off the purple robe and put his own clothes on him again. Then they led him away to be crucified. After the public betrayal and humiliation of the upper room, Jesus’ physical ordeal begins. He is arrested at night, and then kept up through a sham (and illegal) trial, before being delivered over to the only people with the power to inflict capital punishment in the region—the Romans. The Romans didn’t particularly dislike Jesus; to them he was simply another Jewish religious fanatic. The punishment they inflicted on him wasn’t particularly malicious or evil. Jesus was beaten, whipped, insulted, and he bled, sweat, and wavered. Make no mistake, a lot happens at the cross; but a lot happens before the cross as well. Call me crazy, but having a “suffering savior” matters to me. It’s possible that God, being all-powerful, was completely capable of bringing us back to Himself with a snap of His infinite fingers. But regardless, He chose to come to us in the form of a human being. Who was beaten, whipped, and crushed. I think the implications of this are staggering. If we worshipped a God who was only far-off, who is distant, who is only perfect and clean, than I would be terrified or embarrassed to come to Him (or Her) in my weakness and suffering. Because God suffered, I can suffer too, and know that He welcomes it, and shares in it. He does not shun me in my weakness, but welcomes me. This entry was posted in faith, Uncategorized and tagged friday, holy week, Jesus. Bookmark the permalink.